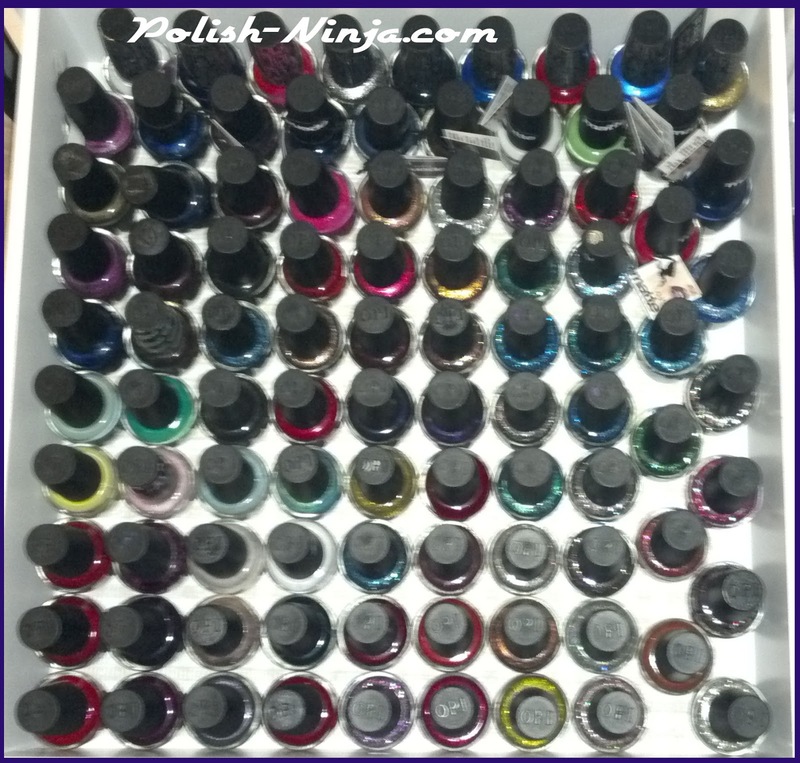 Here are the pictures for you visually-inclined folks!! 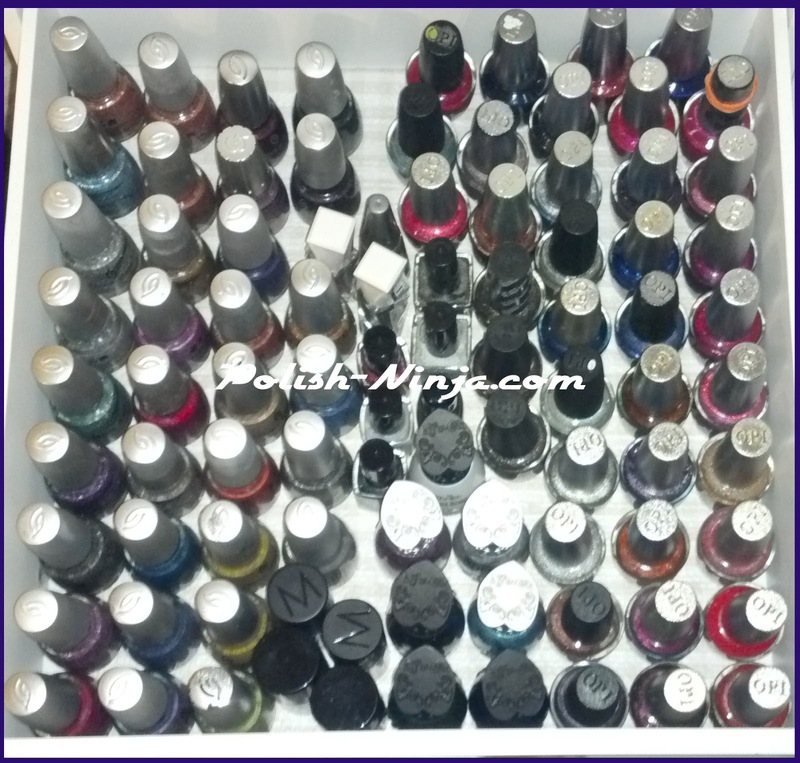 These pictures are outdated so I would not suggest you rely on these for the 'Guess my Stash' giveaway contest!!!! Left: Nail art and pens, Middle: Butter London, Clarins, Illamasqua, Zoya, Inglot, Joe Fresh, Accessorize, Spiritual, WnW Ice Babyl Right Various Minis of many brands! 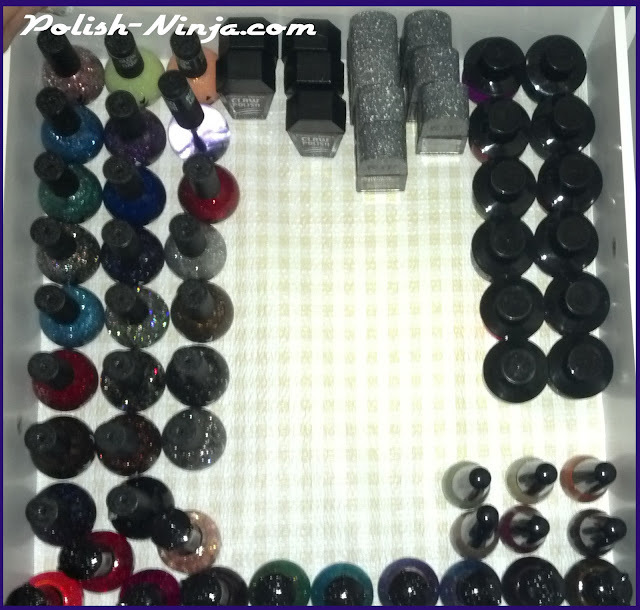 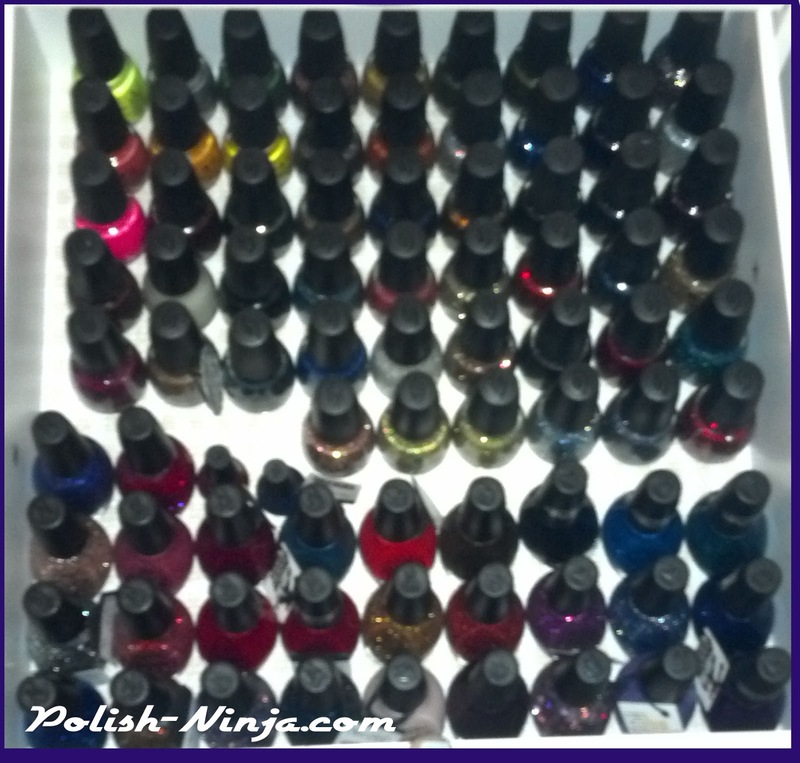 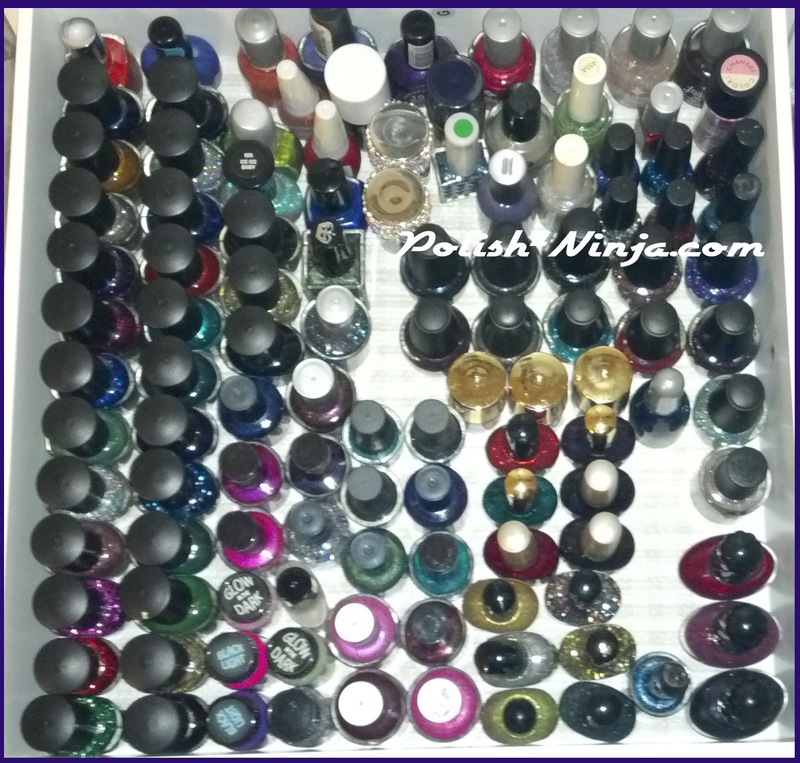 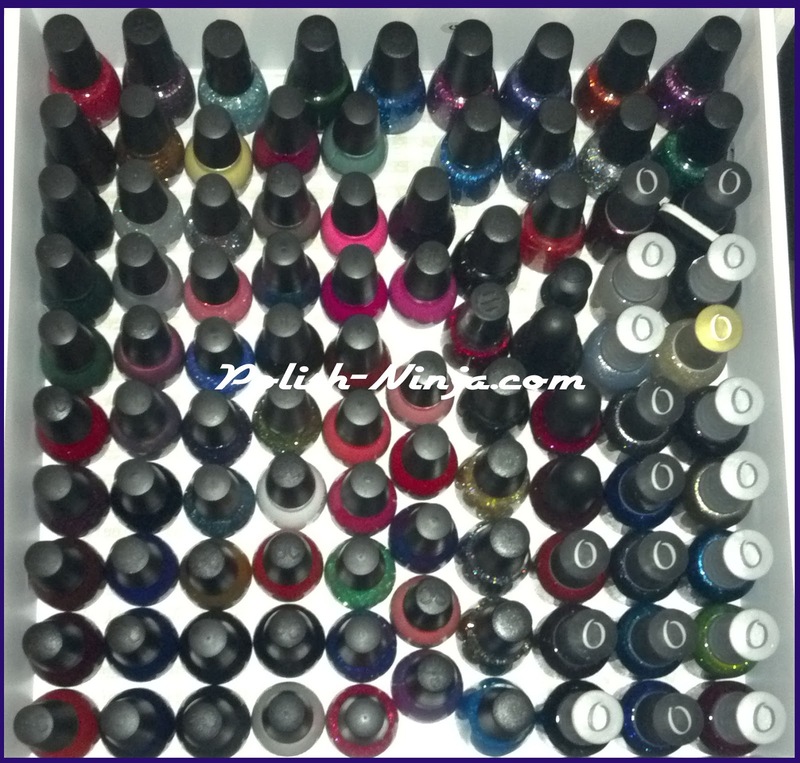 101 OPIs in a drawer....101 OPIs...take out down, pass it around, 101 OPI's in a drawer! 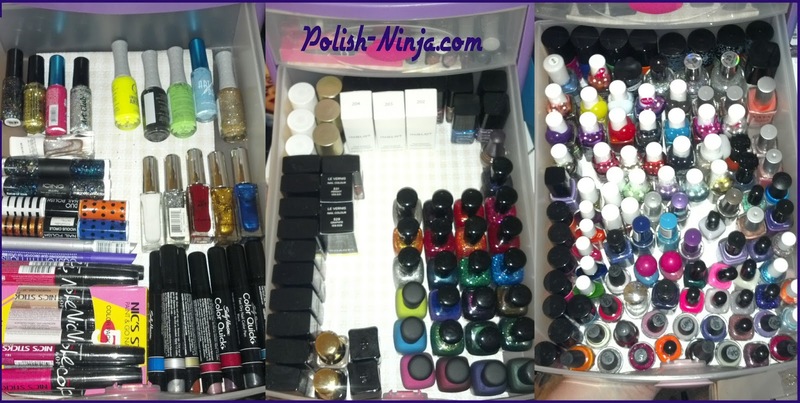 Every OCD person has a 'Monica' drawer....this is mine. 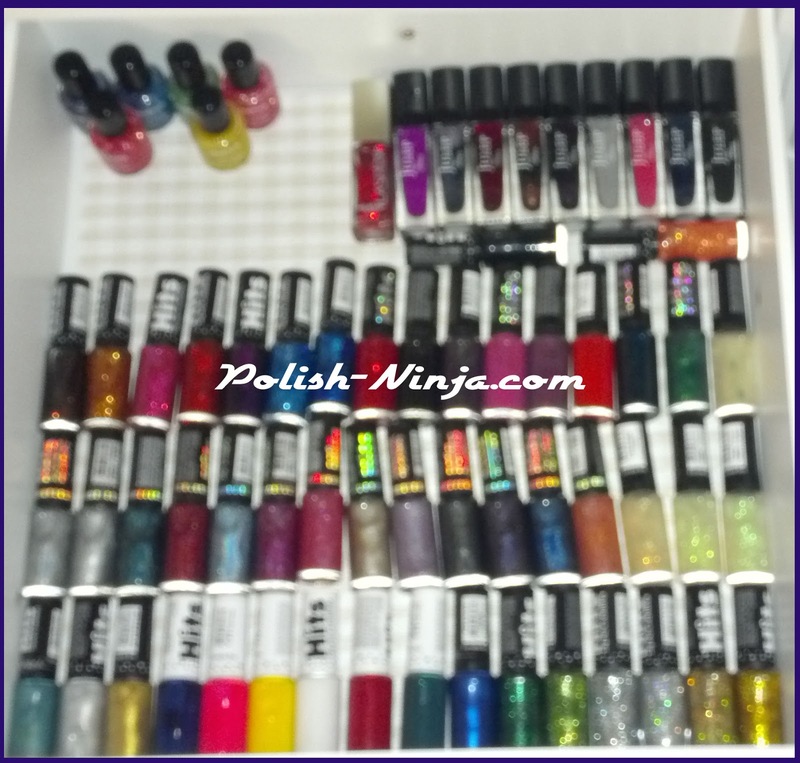 My Franken drawer. 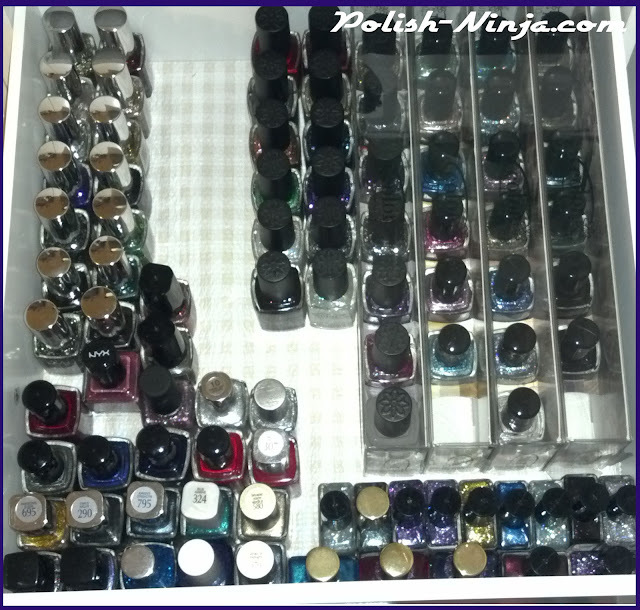 Left corner is actual frankens, the rest is supplies! Sorry for the blur, taking pics from my phone while standing on a chair, supporting the melmer drawer....well....dangerous. 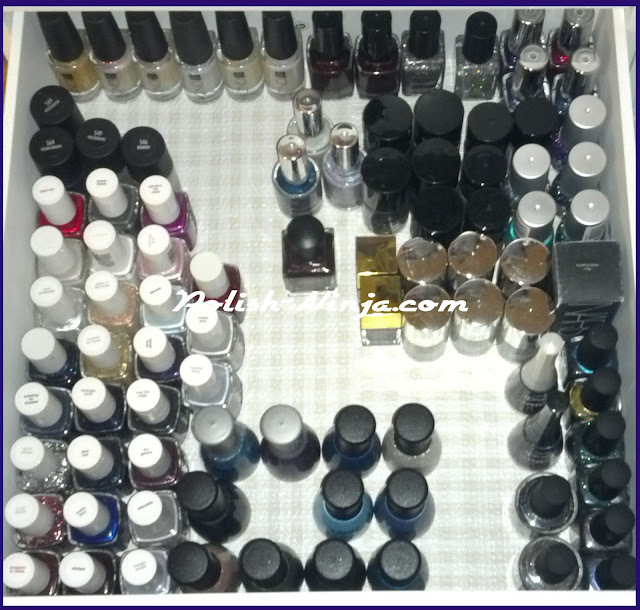 This is my Hits and Julep drawer. 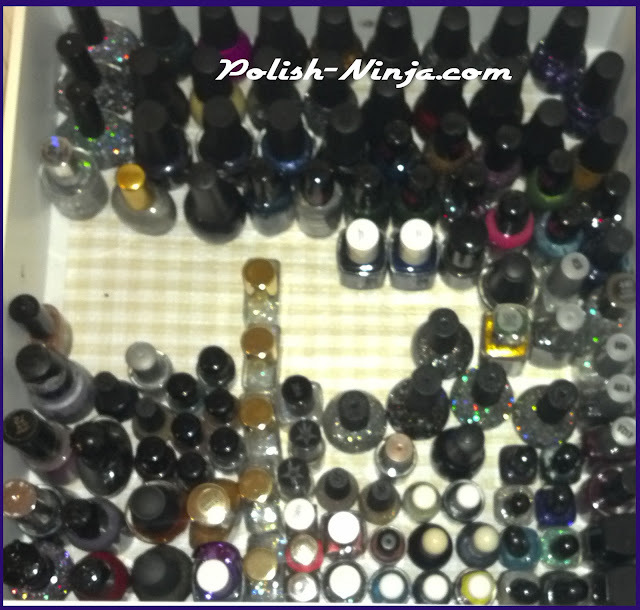 My one and only Deborah Lippmann in the middle, next to my YSM, Essence, Nars, Flomar, Ozotics, Nubars, Essies (including Starry Starry Night), GOSH, CNDand a englands. NYX, Color Club, Cosmetic Arts, Studio M, Loreal and various 'square' polishes. Finger Paints, Wet n Wilds and Funky Fingers.